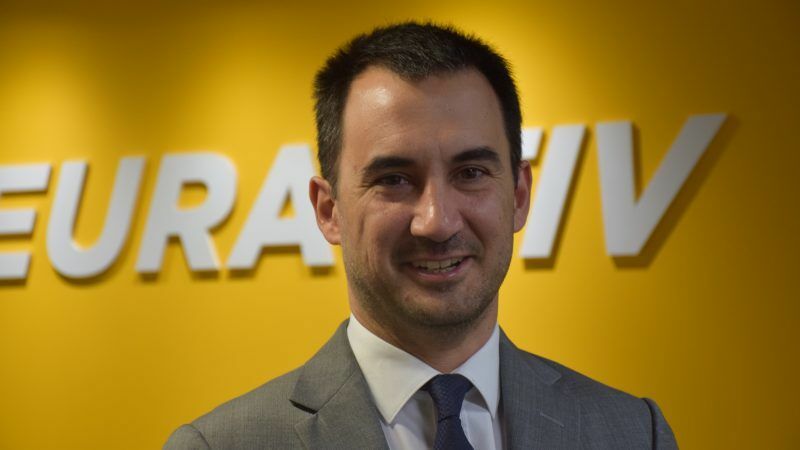 Europe should establish a broad progressive front to face the rising extreme-right ahead of the EU election in 2019, Greece’s Alternate Economy Minister Alexis Charitsis told EURACTIV.com, adding that neoliberalism and far-right were the “two sides of the same coin” in times of crisis. In a wide-ranging interview, Charitsis stressed that the 2019 EU election is the most crucial vote Europe has ever held. He said the inertia of the European system as a whole in tackling key problems, such as austerity policies and the refugee crisis, paved the way for extremist and xenophobic forces to emerge and strengthen. “They now claim a strong position in the European political landscape in the years to come,” he warned, adding that only a broad progressive front will be able to halt their ambitions. “This progressive front will focus on Europe’s need to regain a serious pro-growth policy, restore solidarity, a founding value for the EU, and translate it into refugee policy,” he added. 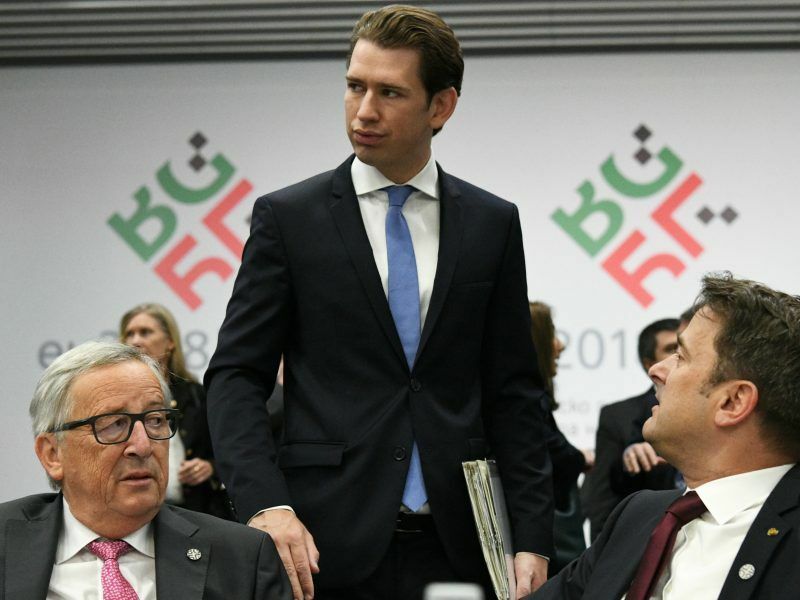 Referring to Austrian Chancellor Sebastian Kurz’s decision to allow the working day to be extended to 12 hours, the leftist politician noted that this basically confirmed that “in times of crisis, neoliberalism and a far-right xenophobic rhetoric can be the two sides of the same coin”. “But that also shows the contradictions of such a policy, because it ultimately conflicts with the interests of those who are supposed to try to represent,” he added. 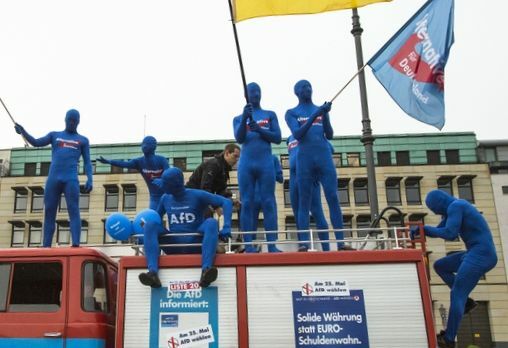 “The xenophobic logic marries a hateful and far-right speech with very tough neo-liberalism, like in Austria,” he added. 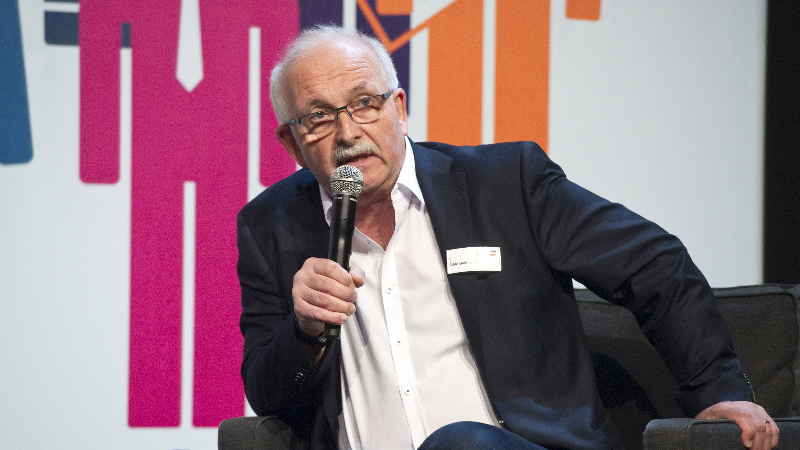 In a recent interview with EURACTIV, S&D chief Udo Bullmann urged the Greek “progressive” camp to join forces against the conservative New Democracy (EPP). However, it’s not an easy task considering that Greek socialists (Pasok), who are the S&D member in Greece, oppose the government and insist on a snap election. “Unfortunately, Greek socialists do not agree with this view,” Charitsis said, adding that there are particular questions the political forces need to answer with clarity. “Different political projects collide. Are the forces of social democracy in line with the logic of Mr Mitsotakis, who speaks of additional austerity, layoffs in the public sector and shrinking of the welfare state?” Charitsis wondered. “Do we want a country as it was at the beginning of the crisis, the black sheep of the EU, or a country which resolves important diplomatic issues such as the recent agreement with FYROM gaining a leading role in the wider region?” he added. In August, Greece is expected to exit the bailout after eight years of tough austerity measures. But the big question is what is next and how the current government will be able to return to a sustainable growth path. Charitsis said the conclusion of the memorandum on 20 August was a milestone in the political and social life of the country compared to what it experienced over the past eight years. He added that in order to ensure continuity and avoid surprises, a holistic growth plan will get the country out of the eight-year deadlock. This plan has measurable targets as well as a list of specific actions per ministry and was warmly welcomed by the Eurogroup last month. “This is a commitment of the Greek government to the Greek society and the factors of the economy for the next day,” he said. “We will not repeat the mistakes of the past, we will not return to practices and policies that have plagued Greek society but also undermined the prospect of the Greek economy,” Charitsis emphasised. Asked what particular measures the government intends to take, the minister said the focus will be on improving the economic environment, for example by simplifying business creation and licensing procedures. In addition, major reforms that have been pending for years will be put forward, such as the spatial planning framework or faster judicial proceedings. “We also want to restore labour relations and deal with employment, as well as take action regarding the welfare state so that “our new productive model is able to stand on solid ground”. Charitsis explained that the completion of the programme gives the government much greater freedom in the exercise of fiscal and tax policies and noted that Athens will look into over-taxation and social contributions. “In no case can anyone divert this course. The constant request by the opposition for snap elections undermines this effort,” he said. 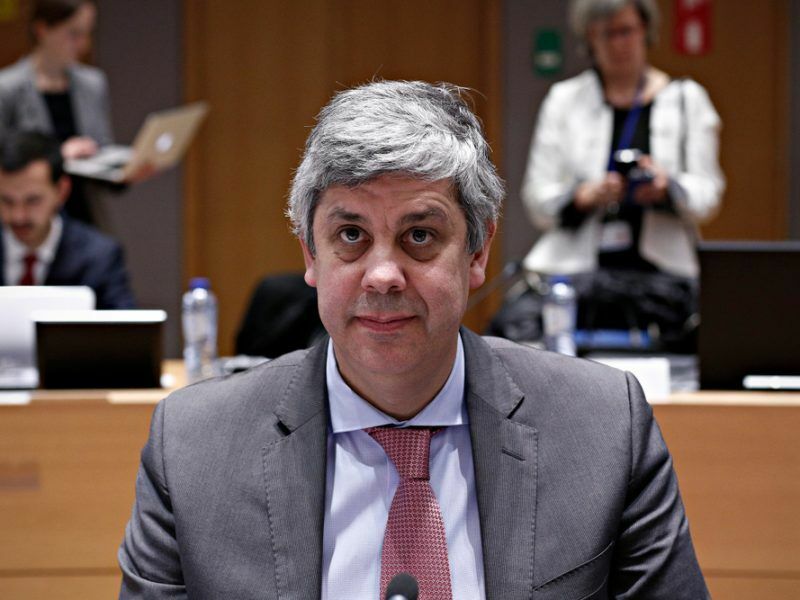 On 22 June, the Eurogroup reached a “historic” deal on debt relief for Greece, clearing the last political hurdle to conclude its rescue programme after a series of bailouts lasting more than eight years. Speaking before the Greek parliament on 3 July, EU Economics Commissioner Pierre Moscovici told MPs that the bailout programmes were over for the Greek people, who could now look forward to a new era. “Greece will walk with its partners next to her, but will be free and autonomous,” Moscovici said. However, this did not please the leader of the opposition New Democracy, Kyriakos Mitsotakis, who urged Moscovici to “be careful” when praising the Greek government in public and talking about a “clean exit” from the bailout. 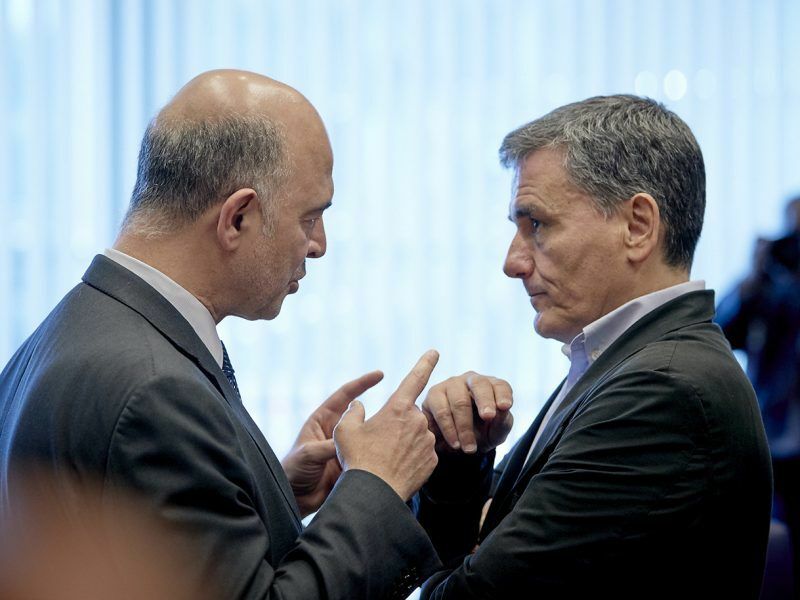 Speaking in the European Parliament a day later, Moscovici replied that some politicians should “measure their words” and that comments saying the post-bailout surveillance for Greece amounted to another bailout were “lies”. 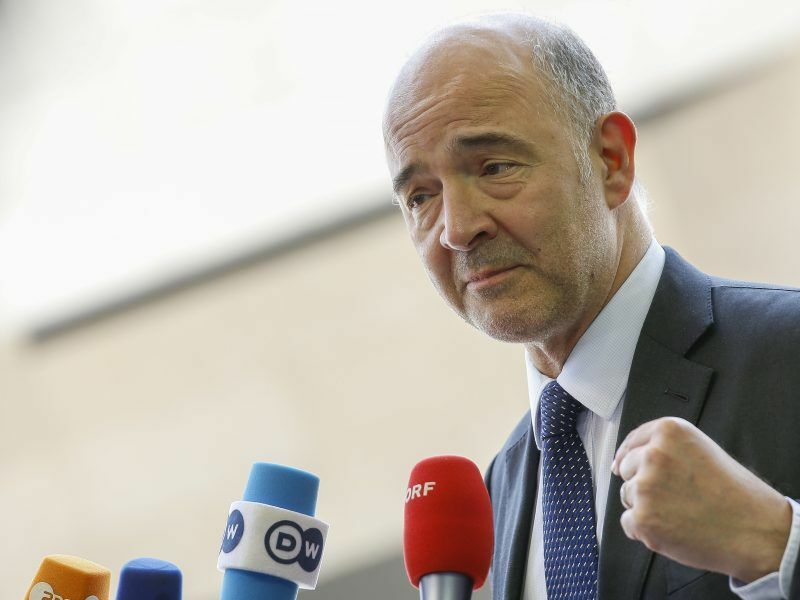 EU Economics Commissioner Pierre Moscovici has warned Greek conservative opposition leader Kyriakos Mitsotakis not to undermine the credibility of Greece’s deal with the Eurogroup and the exit of the country from the bailout “for reasons of internal politics”. Charitsis said that following the Eurogroup’s decision, an open corridor is set up by 2033 so that Greece can easily serve its loan obligations. “It is a great bet for the political system and for the Greek economy to capitalise on the exit from the bailout and to lay solid foundations for the growth of the country […] This requires consensus and logic of broader possible agreement on the basics, but unfortunately we do not see this mood by the opposition,” he said and added the government will take initiatives to create a broad social and political consent. Mr Charistis do you forget that SYRIZA was elected after campaining hand in hand with the neo-nazis party from ‘golden dawn’ in Greece 2011? Do you forget that you came to power and still govern with the extreme right party ‘independed greeks’? Eurosceptic, bigot, and violent rhetoric gave you your and your colleagues salaries. This is not the progressive Europe, this is just populism. Greek populism and EU populism. The historic deal of the Eurogroup should be better explained to its ‘progressive’ effects to low pensioners, health and education in Greece. …from the band of populists.